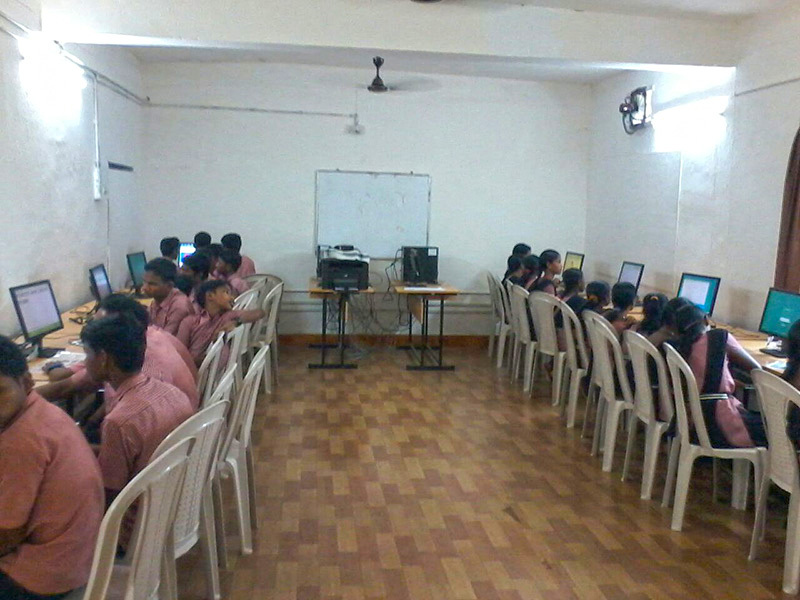 The eContent for Class 9th and Class 10th has been successfully deployed in the ICT Lab of all the ICT Schools. The eContent is used for display through the Integrated Computer Projector device installed in the Lab. Alternatively it is also installed in the Server Computer and can be viewed by all the students sitting at the computer nodes in the Lab. 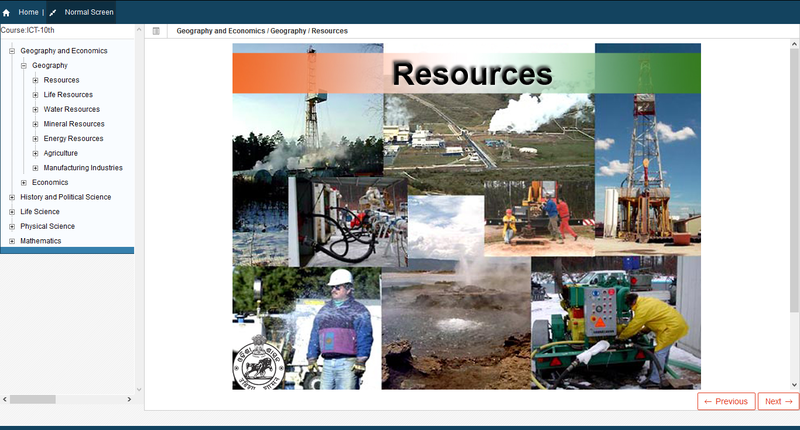 The eContent consists of highly rich multimedia content using flash based animations to explain various concepts and topics of the subjects. In order to facilitate the learning process through the use of technology the teachers of the ICT schools are provided training on usgae of computers and basic IT skills. 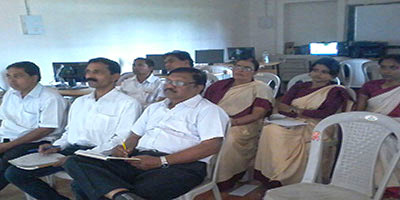 The teacher's training programme is implemented in three phases. 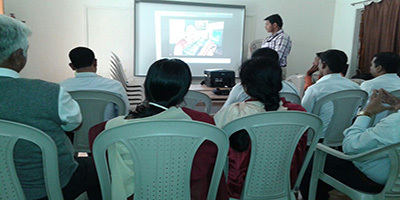 Phase-1: Demonstration of ICT Equipment by OEMs. Phase-2: A TV serial Aamaschool.com is telecasted on television channel DD-Odia at 07:30 a.m. from Monday to Friday where the usage of computers is shown in view of a school through drama based scenes and technical guidance by teaching experts. 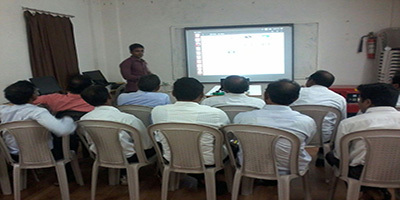 Phase-3: A workshop on Teacher's Training by Master Trainers and ICT Coordinators. 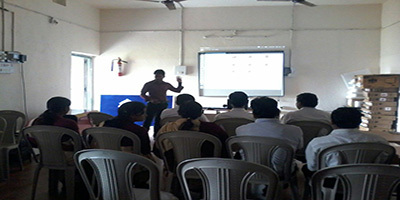 Phase-4: An evidence based e-learning course where they can learn about computers, practical usage of MS-Office (Word, Excel, Powerpoint, Outlook) tools and usage of Internet based services (e-mailing, online ticket booking etc). All the schools under ICT@Schools scheme have been equipped with ICT Lab for usage of technology as an aid to teaching. The ICT Lab consists of a main computer through which 10 different computer nodes are connected via shared computing technology. Each computer node has a monitor, keyboard, mouse, and 4 headphones connected to it, enabling learning of 4 students at a time. A stand-by desktop computer is provided along-with the main computer for back-up purpose. Apart from the above, other equipment such as servo stabilizer, silent generator set, fire-extinguisher, lab-cleanliness kit, multi-function printer, interactive board, projection system and others are provided for smooth functioning of the ICT Lab.